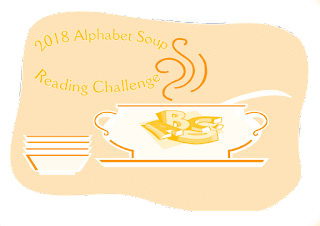 I have been doing the Alphabet Soup Challenge or one of its predecessors every year that I've been a book blogger, and I have NEVER finished it! I came pretty close in 2017, missing only K, L, X, Y, and Z. It's not even that I don't have books for those letters! It's just that I wait until too late in the year to start worrying about filling in the gaps! Anywho, if at first you don't succeed, try, try again! I'll list the books I read for this challenge below.